This is the first in a series of articles where I ask successful wellness professionals to reflect on their experience of running a business in the boutique fitness world. I hope you are inspired by their journey, their insight and how unique each business really is! Lisa Jones is a studio owner in NYC (www.LisaJonesPilates.com) who has been a part of the Pilates and fitness world for over 20 years. She is also a certified health coach and offers her clients a very personalized program to help them achieve well-being. In the questions below, she shares insight into the risks she took along the way, her wisdom on how she finds balance and how she has built her business her way. Enjoy the read! I began training private clients in their homes my first year of teaching, and soon after began renting private studio space by the hour, as well, in addition to working full time at studio and gym jobs. I did this for nine years, gradually bringing my private client business to the point where it made more sense—financially and professionally--to leave my job and rent my own space. This was in 2009, at the height of the financial crisis, so I was able to negotiate good prices on my rent and pilates equipment. It was a risk to venture out on my own during this time, but I felt confident that the strength of my client base and reputation would carry me further than relying on an employer. Thankfully, I was right, and was booked to capacity by the end of my first year in business. I have a beautiful private studio in the Greenwich Village neighborhood of Manhattan. How many hours/week do you teach? Currently between 28-35 hours per week, but I have had periods where I have taught 40+ client hours per week. My ideal is 28 hours per week. And I make sure to take at least two consecutive weeks off each year to recharge. How many teachers teach in your studio? It’s just me. The majority of my clientele are high-level professionals, creatives, and celebrities, and they appreciate the privacy. I feel that offering a truly private studio is an important part of my business identity—there is definitely a market for this kind of service!---but it does make it difficult to grow the business in a way that keeps everybody happy, myself included. That the time spent outside of your business can be the most valuable investment in your business. 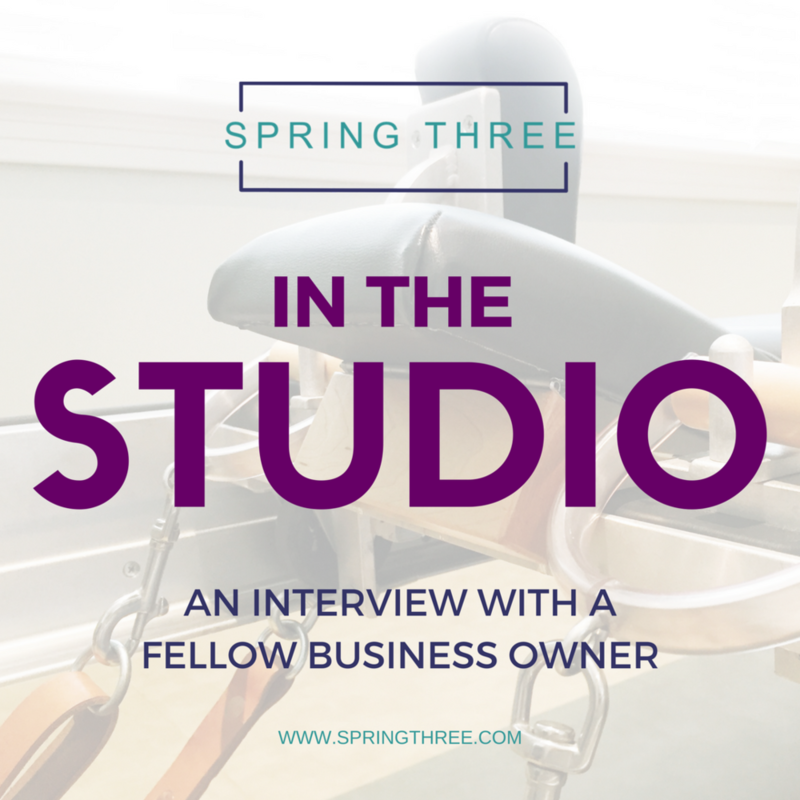 It took me a while to get comfortable with leaving the studio and not focusing solely on training clients. Once I was able to let go of the numbers, so to speak, I was able to spend time and energy on professional development and networking, extended vacation time, and pursuing hobbies and interests that had fallen by the wayside. This shift towards balance enhanced me both personally and professionally, and enabled me to bring more energy and ideas to my business, teaching, and client relationships. The building my studio is housed in was recently sold to developers, and all of us current tenants must relocate our businesses. Facing the current NYC real estate market, taking on the incredibly time-consuming task of finding a new space, and leaving the space I have put so much time, energy, and love into, is both heartbreaking and exhausting. This is definitely the greatest professional challenge I have faced as a pilates instructor/studio owner. I love my clients. They are interesting, intelligent, accomplished people who bring a lot of focus and effort towards our sessions. It’s a joy to teach and engage with them each day. Some days are better than others, of course, but overall I feel incredibly lucky to work with the people I do. Customer service and client relationships are the most important aspects of my business. I am a strong teacher, but I am very aware that my clients are here for more than a great workout: they enjoy the personal attention, the ambience of the studio, and my personality as well. Staying organized and on top of every detail is an important behind-the-scenes part of my job. My systems are very simple, freeing me to put most of my time and energy into working with clients. First I have to find a new home for the studio. It’s difficult for me to see beyond this challenge right now. But when I do get glimpses of the future, I see perhaps opening and staffing a more commercial studio or two and transitioning into the role of studio owner, keeping my private studio as an office and place to train my VIP clients, but perhaps taking that down to three days a week. I would like to increase revenue and gradually decrease the amount of hours I spend working. Top tip for those looking to start a business like yours?